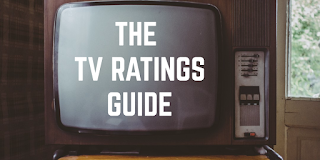 The TV Ratings Guide aasim contributors full boyle hunter jessica jonathan jordan luke rebecca bunch The TV Ratings Guide theratingsjunkie Who's Behind The TV Ratings Guide? Have you ever come to our site, and thought I wonder who writes all these awesome articles? Well now you will have answers. We've gotten most of the nine member team to write up a few sentences about themselves, what they do here, etc, so you can really get to know us, and the website! Theratingsjunkie - Hi, I'm theratingsjunkie and I founded The TV Ratings Guide by myself back in February of 2015 out of my obsession for understanding the ratings business and the want to convey some of what I know to others. Though I'm the mastermind behind the site, it has grown to the point where there are many contributors who have freedom to post about what they want. When I'm not talking about TV I like to watch it, listen to music, play leisure sports, and be around friends and family. Hope you continue to check out our site and tell everyone about it! Hunter - I am a recent high school graduate who finds the time to watch many hours of TV a week, somehow. I hope, however, to end up being a writer of television programs, rather than just a viewer, specifically for sitcoms. At The TV Ratings Guide, I write the summer renew/cancel posts as well as reviews of many shows, including some of my favorites, such as The Middle, Mom, and The 100, and this fall I will be making predictions on the ABC shows. My Disqus name is HV, and in addition to The TV Ratings Guide, I can be found at Spotted Ratings and Spoiler TV. Jessica - I'm currently a sophomore in college and an English major. I'm also musically inclined, as I like to sing and play guitar. In my spare time, I like listening to classic rock (Thanks, Supernatural!). I regularly post Off-Topic threads, and the CW Renew/Cancel Watch articles. I also have an editorial series called Jess's Take. For this summer, I am reviewing the second season of UnREAL in its entirety. JB is my Disqus name. You can find me commenting on SpottedRatings, The TV Ratings Guide, SpoilerTV, and TVBTN, as well as The Atlantic Discussions. Jonathan - Hello everyone! I am currently entering my freshman year of college, where I will be working on acting, writing scripts professionally (the person that writes all your favorite shows), and dabble in business. In my spare time, I love to write a variation of things from songs to television shows to random stories, and just do any fun thing with friends and family. For The TV Ratings Guide, I write about any Nashville related news, Nashville reviews, random TV news, and polls. On the Renew/Cancel Watch end I write the Reality Shows Renew/Cancel Watch around the year, as well as five Cable Renew/Cancel Watches. My DISQUS name is "The Middle of Nashville", so feel free to find me and talk to me about anything! I spend most of my time here, and on TVBTN, with an occasional visit at Spoiler TV. And if we are doing the Twitter thing, my account name is @jonathan_ducote. **Warning** I tweet a lot about Nashville...do with this as you will. For the TV Ratings Guide, I am one of the main TV News contributors and I also do the NBC Renew/Cancel Watch in-season every Sunday! Full Boyle (Robber Stopper) - Hi guys, my disqus name is Full Boyle. I am a fan of television, my favorite shows currently on the air include Brooklyn Nine-Nine, The Last Man on Earth, The Middle, Bob's Burgers, and Black-Ish. In the fall, I will be writing reviews for each episode of Brooklyn Nine-Nine and The Last Man on Earth. Right now, I am posting the TV ratings here on the TV Ratings Guide, I have also posted an article about the history of CBS at the Emmys in the Outstanding Comedy Category, and will write more for each of the networks. I will probably post some articles here and there, so keep reading The TV Ratings Guide for articles from me and all the others who are in our staff. Rebecca Bunch - Hello readers! I'm Rebecca Bunch on Disqus. I write the weekly Sporcle Quizzes of the Week posts. In the fall, I will be reviewing Scream Queens, Dancing with the Stars, and Saturday Night. Live. I'm a huge political junkie, so when I'm not on Sporcle or checking the TV websites, I'm researching politics. Some of my favorite shows include SNL. Scream Queens, 30 Rock, Gilmore Girls, and Full Frontal with Samantha Bee. In the rare times that I'm not watching TV, researching politics, or playing Sporcle, I'm either listening to music, watching movies, or swimming. Well, I hoped this help you get to know us! Remember to bookmark our page, and check here around the year for everything, and anything TV related!